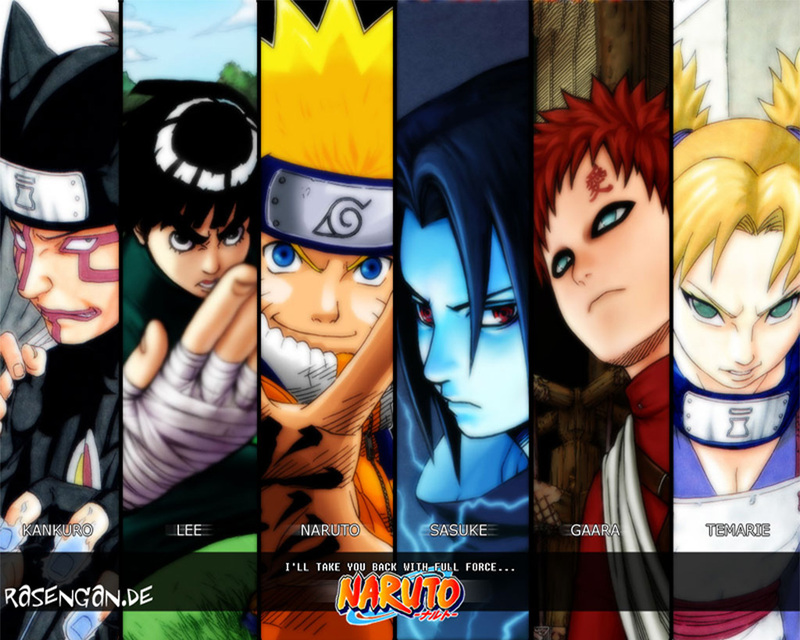 In the World of Naruto, every ninja is born to a clan, or extended family group. A ninja remains in that clan for life, something which can never be changed no matter what choices they make in their life. Clans fall into 3 basic kinds: those with kekkei genkai (bloodline skills), those with elite clan-only skills, and those with no specific clan-only skills. A number of clans have, as part of their DNA, the ability to perform certain jutsu or do certain things which only their clan can do. Other ninjas, no matter how well skilled, cannot ever learn these jutsus. These skills can be activated by a ninja at the heat of battle, often when their life is at risk. Whilst an individual clan can only ever have 1 kekkei genkai, that single kekkei genkai can have many elements to it. For example, the Uchiha Clan of Konoha (the village hidden in the leaves) has a kekkei genkai called sharingan, which some of their ninjas can activate during battle. Sharingan changes the way that the eyes operate, meaning that the ninja can see jutsus better and has a better than normal chance to completely avoid it. They can also copy some jutsus just by watching them. An advanced stage of the sharingan, which is triggered off by a traumatic event, is the Mangekyo Sharingan, which allows the ninja to perform a genjutsu to trap enemies into illusions that hurt them. There are also many other advanced elements, including Ameratsu, the ever-burning fire. One major negative side effect of using the sharingan, or at least the advanced kinds of it, is that it can turn the ninja completely blind. The more that they use it, the worse that their eyesight becomes. The Uchiha Clan, however, is not the most powerful clan in existence. The Hyuuga Clan, also of Konoha, has a kekkei genkai called byakugan which allows them to see through areas with a kind of x-ray vision, also allowing them to see other people's chakra and to hit using their "gentle fist technique" to cut the chakra flow from an opponent. Other clans with kekkei genkai also rival the Uchiha Clan, such as Konoha's Senju Clan with their wood element, Mist Village's Kaguya Clan with their bone manipulation, Mist Village's Kaishin Clan with their ice mirrors, and a variety of other kekkei genkai in other clans. Because of their elite skills, clans with kekkei genkai are generally shunned by others, especially by non-ninjas. They cannot be bound to a demon, cannot be linked to a blood summon animal, and cannot ever capture a true version of an elite weapon. A number of clans have elite clan-only abilities that are in many ways superior to kekkei genkai skills. Aburame Clan from Konoha, for example, could host beetles inside their body which they could then use combined with their chakra to sense other ninjas, to secretly attack others and to do a variety of other things. Kamizuru Clan from Rock Village hosted bees in much the same way. Akimichi Clan of Konoha could use their body expansion technique to grow parts of their body or indeed their whole body to enormous proportions. The Nara Clan of Konoha could use shadow manipulation to take over another person's body through attaching their shadow to the other person's body. Ninjas from elite clans are not as feared as ninjas with a bloodline limit and as such on occasion they may be linked to a blood summon animal or could be able to use an elite weapon, although there has been no instance in recorded history of a ninja from an elite clan ever being able to become possessed by a demon. Most ninja clans do not have any kekkei genkai or any elite clan-only abilities that are passed on from clan member to clan members. Most clans simply have ninjas who choose for themselves what they wish to become. Because of this, they can not only command the respect of a blood summon animal, but can also become linked to a demon, hold an elite weapon and use elite armour. In addition, regular clans do nonetheless have their own skills that their clan prefers. Whilst these skills can be shown to other ninjas even, they are nonetheless skills which it is rare for other ninjas not of their clan to use.